There’s nothing like sitting either outside or by a window and enjoying the sunlight. It feels good on the skin and can help ease away the stress of the day. We’ve officially entered the autumn season, which means that soon, we’ll have fewer hours of sunlight to enjoy. How might that affect you? Don’t be surprised if you notice your energy waning or find that you can’t stop thinking about brownies. Fortunately, you don’t have to go off into that good night without a fight. There are several things you can do to help your body cope with the shortened days so that you don’t inadvertently suffer from weight gain or mood swings. The winter solstice — the shortest day of the year — occurs in the Northern Hemisphere on December 21, 2017. That means that between now and then, the days will steadily grow shorter, providing us with less and less sunlight to enjoy. That can be challenging, as less daylight can have several negative effects on our health. Below are five of the most common changes you’re likely to notice. 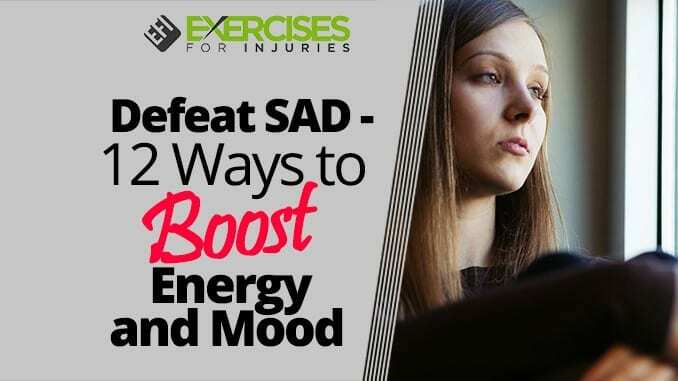 Decreasing exposure to sunlight in the fall and winter months has been linked with seasonal affective disorder (SAD), a type of depression that is related to the changing seasons. In most people with SAD, symptoms start in the fall and continue until spring when the weather warms up, and the sun returns to a longer stay in the sky. Symptoms include sadness, lack of energy, mood swings, difficulty concentrating and sleep problems. We don’t know yet exactly what causes SAD, but most research suggests that it is likely related to reduced sun exposure, which can upset the body’s internal clock and potentially lead to a drop in serotonin levels. Serotonin is the “good mood” messenger in the brain. The change can also upset melatonin levels, which can interfere with sleep. Studies have found that people who live in the coldest climates, either far north or far south of the equator, are more at risk for SAD, most likely because of the reduced sun exposure. Even if you don’t experience full-on SAD, you may be more likely to feel “blue” as the daylight diminishes. If you’re not as sharp at your morning meeting, you have our permission to blame the waning sunlight. Fall and winter seasons are commonly associated with brain fog — that sense that the gears in your thinking machine are turning a little slower than usual. Your work hours may make it worse. If you arrive early and leave late, you may not see the sun at all, and that can leave you feeling a little slow mentally. Researchers have determined that sun exposure is good for thinking while darkness is not. In one study, they analyzed nearly 20,000 participants age 45 and older who came from across the United States and looked into their sun exposure based on ground and satellite measures of solar radiation. Then, they looked at cognitive function determined by how the participants performed on screening tests and found that lower levels of sun exposure were related to increased odds of cognitive impairment. An earlier study entitled “A warm heart and a clear head,” showed similar results. Researchers observed about 600 participants when they spent varying amounts of time outdoors and found that sun exposure was related to improved memory and a “broadened” cognitive style, with results increasing the more time the participants spent outside. If you’re already feeling depressed because of a lack of sunlight, the effects on your cognition are likely to be even more pronounced. Studies have shown that in depressed people — including those suffering from SAD — lack of sunlight is likely to lead to cognitive impairment. Many of us seem to drag through those winter days, and that may be because we see less of the sun. Scientists have found a relationship between fatigue and sunlight and reported in 2014 that the less sunlight participants experienced, the more likely they were to suffer from sleep problems and to experience fatigue. Getting enough sun, on the other hand, has been associated with improved sleep. Researchers had one group of participants work in a windowless environment and had another group work in places with more natural daylight. Results showed that those who worked without windows experienced poorer overall sleep quality and more sleep disturbances while those with windows slept much better. You know that exercise is critical to your health. It helps you sleep better, improves mood and keeps your brain working optimally. 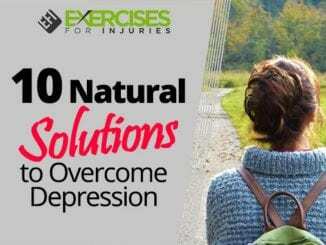 In fact, it can counteract all the other bad things that lack of sunlight can cause, but the problem is that decreased sunlight exposure is likely to make you feel less like exercising. Fatigue has something to do with it, but you may also feel a lack of overall motivation to move. It doesn’t help if it’s cold and windy outside, and you’re stuck working out on cold machines. Plus, if you’re used to exercising after work, the fact that it’s dark now may make it tougher to stick with your routine. On top of that, we’re naturally built to be less active in the cold months. The body wants to rest and store up energy, and it can be difficult to resist that instinctual pull. Unfortunately, if you don’t stick with your exercise program, you’re likely to have more trouble with these other issues, as well. 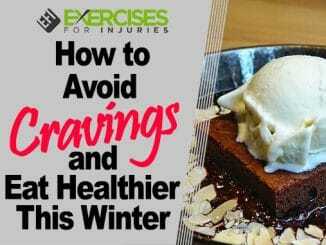 We eat more food — particularly fattening foods — in the winter. Some experts say it’s because of our primitive instincts that we want to stockpile our pantries and our bellies with calories to protect us through the colder months. Others say it’s because of opportunity that we eat more — all those holiday treats, for example, and fewer opportunities for playing or working out outside. Whatever it is, it’s a common change as the sun becomes more distant. In one study of about 300 adults, for example, researchers found a marked seasonal change to eating habits. People consumed more calories in the fall, increasing meal size and eating more often. They also felt hungrier at the end of a meal even though the meals were larger. The researchers concluded that seasonal changes were a “major influence” on eating. 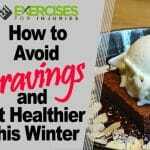 Other research has shown that the average person gains at least 1 to 2 pounds during the winter months and that it could be because we crave high-calorie, high-carbohydrate foods. Things like mashed potatoes, macaroni and cheese, chocolate cake and similar dishes sound good when it’s cold outside. We also long for something to warm us up, and carbohydrate-rich foods give the body that instant “heat” sensation. It could be the serotonin too. If you’re experiencing SAD and your brain is low on serotonin, you may crave carbs because they naturally give you a serotonin rush. Fatty foods in the winter can be a way of self-medicating — we’re trying to help ourselves feel better. While we can’t control the sun, we can put into place some new habits during the fall and winter that help us cope with the increasing hours of darkness. If you suffer from any of the problems listed above, try these tips. Studies have found that those suffering from SAD often recover with the use of light therapy. In addition to getting out into the sun as much as you can, you may want to try an energy lamp or lightbox. Make sure that it is 10,000 lux, and that it provides the full spectrum of bright white light. Then, set it at an angle about two feet away from your eyes and allow it to shine on you for 20 to 60 minutes each day. If you’re struggling with fatigue, try more high-energy foods like almonds, fatty fish, leafy greens, Greek yogurt, eggs, chia seeds, green tea, dark chocolate and fresh fruit. Foods with a low-glycemic load break down more slowly in the body and are less likely to spike blood sugar levels, which can result in higher energy. If you’re battling cravings, try to adjust your recipes to contain fewer calories. Maybe you can make your macaroni and cheese with some butternut squash and low-fat cheese or change up your stew to include more vegetables and less meat. Get creative, and you can still enjoy these foods without the inevitable weight gain. You can outsmart your cravings by consuming more healthy fats like coconut oil, fatty fish, nuts and flaxseeds. These foods not only give the body slow-burning, longer-lasting fuel but can also help keep your mood up. Omega-3 fatty acids can even help improve your body’s ability to use serotonin. Turkey and other foods like eggs, tofu, spinach, crab, shrimp, pumpkin seeds, roasted soybeans, lamb, chicken breast, tuna and oat bran are all rich in tryptophan, which helps elevate mood. In one study, researchers found that tryptophan was just as effective as light therapy for those with SAD, so it’s worth a try. As long as you don’t have sensitivities to the caffeine or the related acids, there’s no reason not to enjoy a cup of coffee to help lift your energy. Studies have shown that coffee is associated with many health benefits, including a lowered risk of dementia and Alzheimer’s disease, and it can also help you stay more alert throughout the day. Don’t be surprised if you feel more tired earlier in the evening. Earlier sunsets typically lead to earlier bedtimes, which is fine. Allow your body to adjust naturally, and you’ll experience better sleep. The body naturally makes vitamin D when you are exposed to the sun, but reduced sun exposure can deplete vitamin D levels. That’s dangerous, as vitamin D is critical for bone health, cardiovascular health, immune health, and much more. In 2008, researchers reported: “Vitamin D deficiency is now recognized as a pandemic.” In 2009, researchers reported that three-quarters of Americans were deficient in vitamin D. The problem is that very few foods contain vitamin D, so it’s difficult to get enough from the diet. Try a daily supplement of vitamin D3 (the most absorbed kind) of 600 to 800 IUs. To get more sun exposure during the day, take more walks outside whenever you can. Get out during your lunch hour, or take a 10-minute break and go outside. Even a small amount of exposure can help you feel better. You can use various scents to help improve your mood and energize your spirits. Bergamot, lavender, lemon, grapefruit, orange, rose and ylang-ylang are all uplifting and energizing. If you’re neglecting your exercise, it’s time to rethink what you’re doing. Maybe you could join a racquetball club or a dance class at the gym. Maybe you have some friends who would enjoy mall walking. 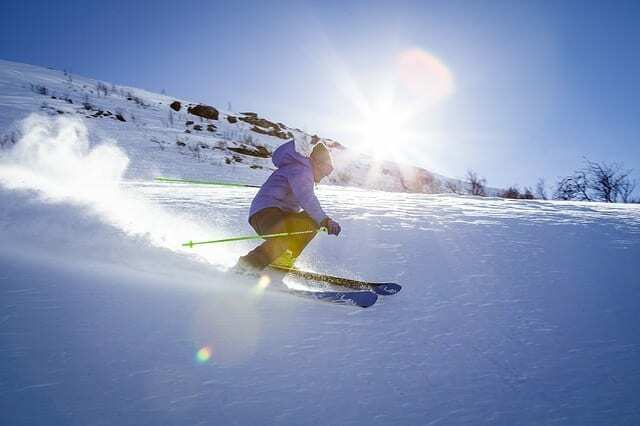 If winter sports appeal to you, invest in those for your health’s sake. If you can get together with others and make exercise fun, you’ll be more likely to stick with it. You can also try getting a new machine for your exercise room or try some new online or DVD exercise routines. Kent ST, et al., “The relationship between long-term sunlight radiation and cognitive decline in the REGARDS cohort study,” Int J biometeorol., April 2014; 58(3):361-70, https://www.ncbi.nlm.nih.gov/pubmed/23340910. Keller MC, et al., “A warm heart and a clear head. The contingent effects of weather on mood and cognition,” Psychol Sci., September 2005; 16(9):724-31, https://www.ncbi.nlm.nih.gov/pubmed/16137259. Shia T. Kent, et al., “Effect of sunlight exposure on cognitive function among depressed and non-depressed participants: a REGARDS cross-sectional study,” Environ Health, 2009; 8:34, https://www.ncbi.nlm.nih.gov/pmc/articles/PMC2728098/. Sun JL, et al., “The relationship between light exposure and sleep, fatigue, and depression in cancer outpatients: test of the mediating effect,” Cancer Nurs., Sep-Oct 2014; 37(5):382-90, https://www.ncbi.nlm.nih.gov/pubmed/24201313. Mohamed Boubekri, et al., “Impact of Windows and Daylight Exposure on Overall Health and Sleep Quality of Office Workers: A Case-Control Pilot Study,” J Clin Sleep Med., June 15, 2014; 10(6):603-611, https://www.ncbi.nlm.nih.gov/pmc/articles/PMC4031400/. Michael F Holick and Tai C Chen, “Vitamin D deficiency: a worldwide problem with health consequences,” Am J Clin Nutr, April 2008; 87(4):1080S-1086S, http://ajcn.nutrition.org/content/87/4/1080S.full. Adit A. Ginde, et al., “Demographic Differences and Trends of Vitamin D Insufficiency in the U.S. Population, 1988-2004,” Arch Inter Med. 2009; 169(6):626-632, http://archinte.jamanetwork.com/article.aspx?articleid=414878. de Castro JM, “Seasonal rhythms of human nutrient intake and meal pattern,” Physiol Behav., July 1991; 50(1):243-8, https://www.ncbi.nlm.nih.gov/pubmed/1946724?dopt=Abstract&holding=npg. Solvie Karlstrom, “Why You Need to Eat More Fat (In the Winter),” Rodale’s Organic Life, January 25, 2012, https://www.rodalesorganiclife.com/food/winter-blues.